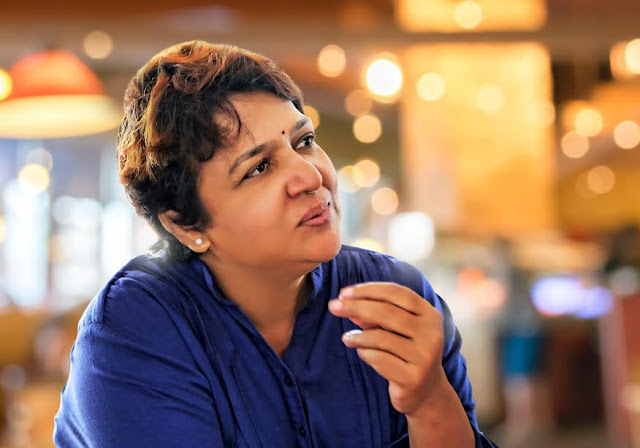 Dynamic lady director Jaya.B who is a specialist in delivering superhit films like 'Chantigadu', 'Gundamma Gaari Manavadu','Lovely' is now coming with a love and Family entertainer, 'Vaisakham'. Harish, Avantika played as hero, heroines of the film Produced by B.A. Raju under his RJ Cinemas banner. Film has been made as a cute love story involving family emotions with a backdrop of urban apartment culture. 'Viasakham' is all set to release worldwide on july 21st. Dynamic lady director Jaya.B shared her journey with 'Vaisakham'. I can say that this is a vary tough journey. I have gone through many ups and downs. A lot of things need to fall in place in order to get the exact output i wanted. I worked very hard for that. For example it is very hard to go to Kazkhstan even as a tourist. At a place like that our unit of 23 people used to travel carrying luggage weighing 400 kgs for 15 days to picturise songs. It took 3 months to process passports. It is very tough to shoot in Kazakhstan. We must the procedure of stamping the passports for every three days. Otherwise we may land in jail there. For the last two months everyone i know is asking about the release date of this film. Finally we fixed the date. Like everyone else I am also eagerly waiting for the release date to watch the film along with audience in theatres. I am travelling with this film since one year. I have taken extra care and put all my efforts in crafting each and every frame of this film. This film will be completely different from my earlier films. I used to make films within a particular looking after budget so that to lessen the burden on Producers. But, for this film I was not hurried to finish it. I took my own time and worked with patience, commitment till i get what I want. You can find this difference in Trailers itself. All artists performed very well. Especially Hero, Heroine will impress the audience with their performance. They will get very good name, fame with this film. Our Hero is producer's hero. He is very well mannered and did very well in the film. You don't even get a feeling like you are watching a new Hero and Heroine while watching the film. Saikumar garu played a very important character in this film. His character is main turning point in the film. At a stage, audience will forget that they are watching a film. They will feel that they are following real life. They will travel along with the characters. I can definitely say this. I am very confident that audience will connect with this film. I always want to introduce new talent. There are a lot of new faces in this film too. Everyone did great in their roles. Film came out very well. This is not my word, everyone who watched the songs and censor screening expressed the same. Censor officer himself said that he liked the film and appreciated us. He even said that he faced many situations in his life shown in the film. They certified our film with 'U/A'. When we asked for a 'U' as ours is a family film, He replied with a smile that there is an ample dosage of romance too. This film has a romantic song and some romantic scenes too. This is a very intense love story. Film passed censor without a single cut. We spent the last one year working very hard for this film. We didn't compromised even for a single frame. Cinematographer Vaalisetty Venkata Subba Rao garu took special care to ensure perfect D.I., C.G. output. I must agree that the budget of the film went a bit higher. We took this film as a challenge and prestigious project. We want audience and industry to speak about the grandeur of the film. So, we didn't compromised till we get the quality, output we want. When I preferred Vasanth as music director, everyone around me suggested to work with previous music directors. But, I proceeded with Vasanth. I wanted the songs to be very grand. I listened to the song 'Country Chilaka' written by Ramajogayya Sastry for ten days. I even got confused about using the song in our film or not. The song is so grand and massy which is to be picturised on Big Stars like Mahesh, NTR. We were doubtful about picturising such a lavish song on new hero, heroine. But, we decided to do the song and we picturised it very lavishly. It will be a visual treat for audience. Shekhar master choreographed the song. He was shocked after listening to the song for the first time. He took up this song as a challenge. He conducted practice sessions of 8 hours per day for 15 days with hero, heroine. They worked very hard for the song. Audio is a big hit. Each and every song received unanimous response from listeners. Credit goes to Vasanth. I am confident that audience too will enjoy the songs from July 21st in theatres. There are no joint families nowadays. Apartment culture is spreading in rural areas too. Most of the people are preferring apartments only. Apartments has different kinds of people. We tried to showcase the relations and clashes among the people living in apartments in a close to reality manner. Who Is Behind The Richness Of The Film ? Main reason is Raju garu. I strongly decided to make this film in a grand manner. I don't want to do a project which will be wrapped up in three, four months. I wanted to make a film which will be loved by all. I worked as editor for my previous film 'Lovely' too. This is my story, my screenplay, most of the dialogues were written by me. Characterisation, Framing, camerawork everything designed by me. I have an idea how this film should be. I feel more comfortable to do the editing work by myself. He is always co-operative in any matter regarding the film. I used to worry whenever budget gets exceeded. But, He always says that we shouldn't compromise on anything costing the film. It is only because of Raju garu being a Producer I was able to picturise the songs in Kazakhstan. Any other Producer doesn't want me to shoot there. It is not in our hands to do a film with a Star. Naga Chaitanya watched 'Vaisakham' songs and appreciated the visuals. He even expressed his consent to do a film with me in our banner if we find good story. Everything must fall in place. I will decide about my future projects after 'Vaisakham's success only.